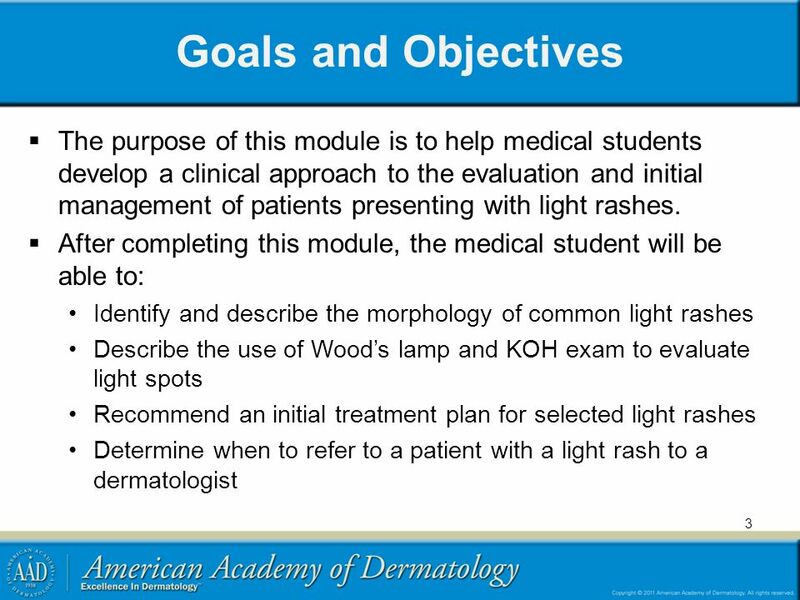 2 Module Instructions The following module contains a number of blue, underlined terms which are hyperlinked to the dermatology glossary, an illustrated interactive guide to clinical dermatology and dermatopathology. 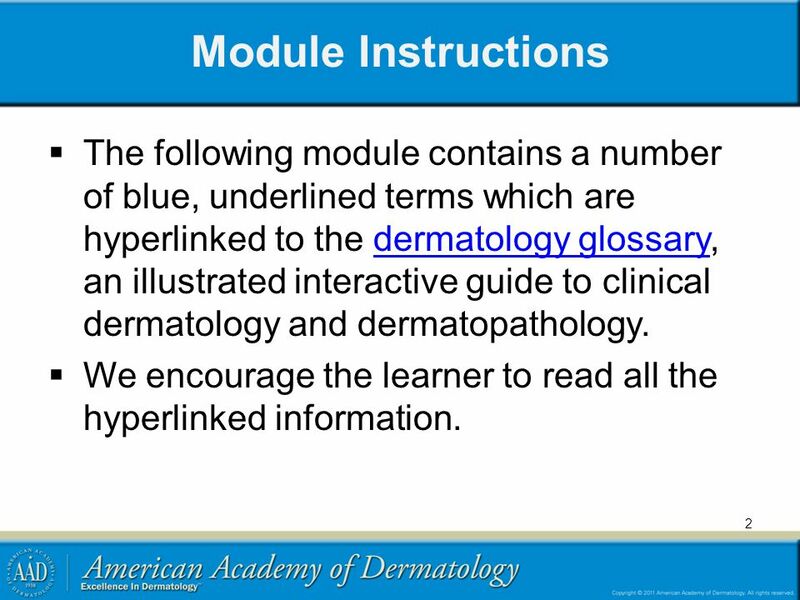 We encourage the learner to read all the hyperlinked information. 10 Case One, Question 2 How would you describe Heather’s exam? 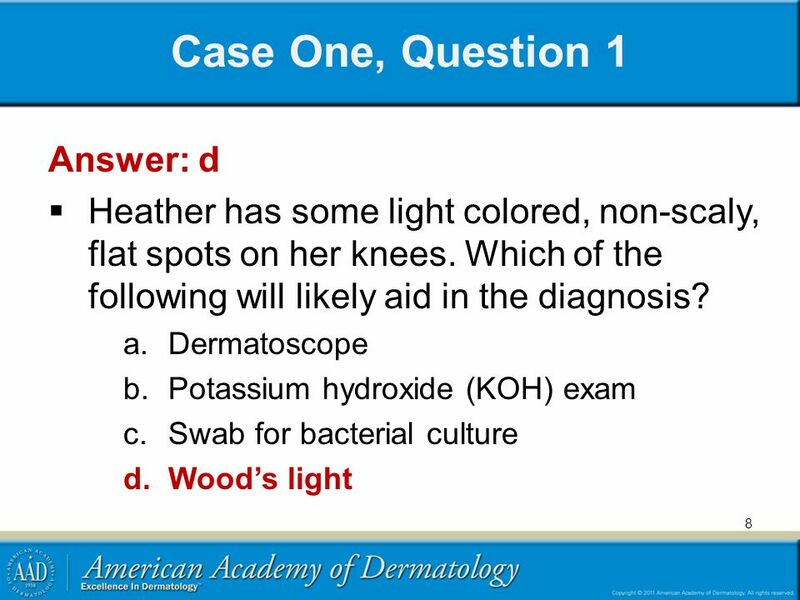 11 Case One, Question 2 Answer: b How would you describe Heather’s exam? 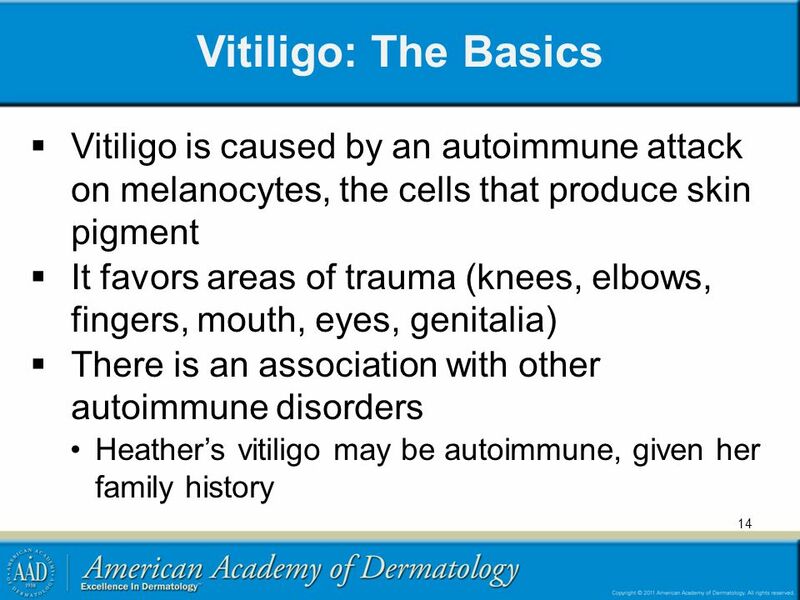 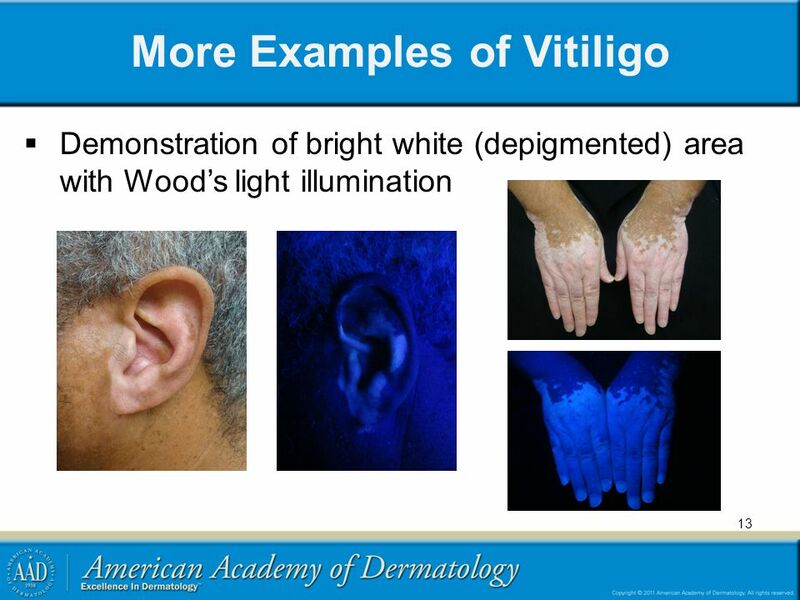 12 Vitiligo Lesions of vitiligo are well- circumscribed depigmented macules and patches. 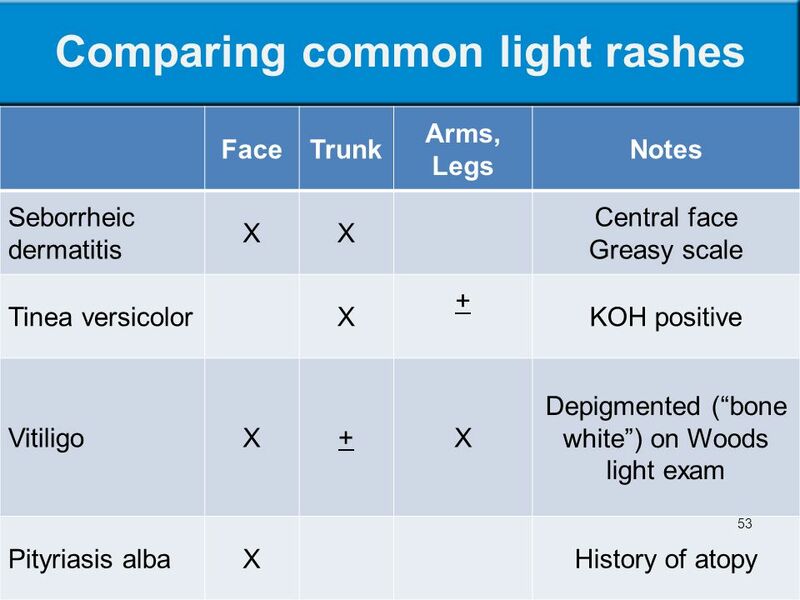 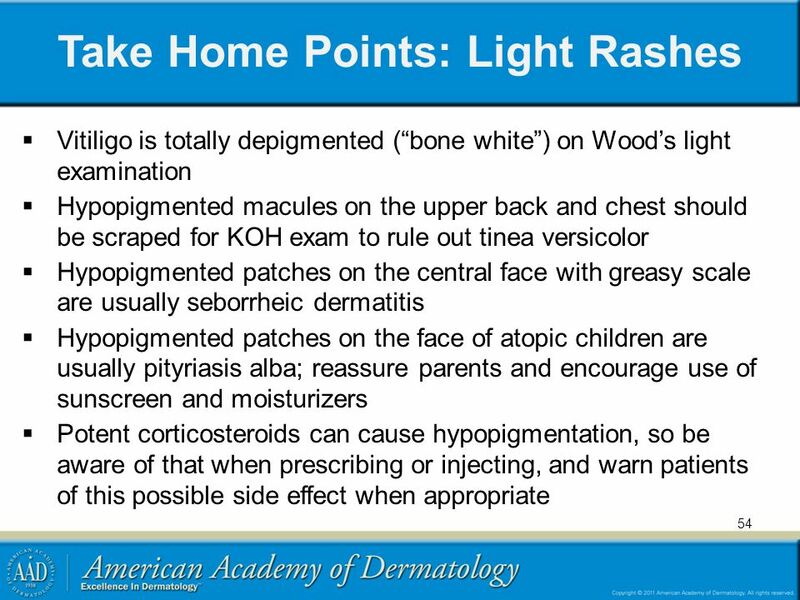 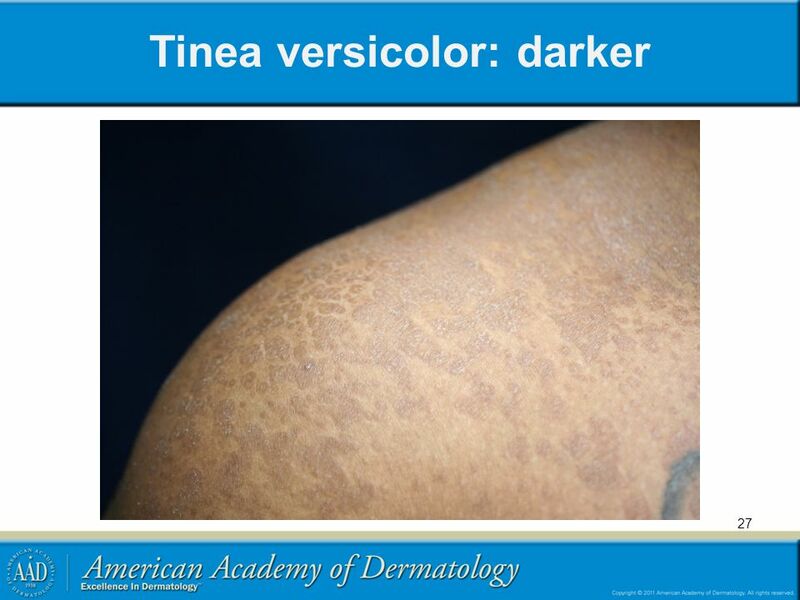 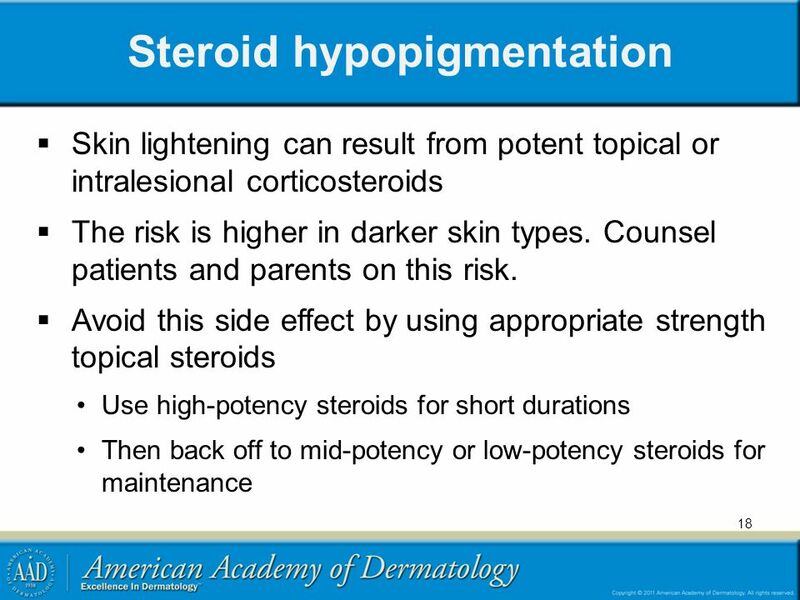 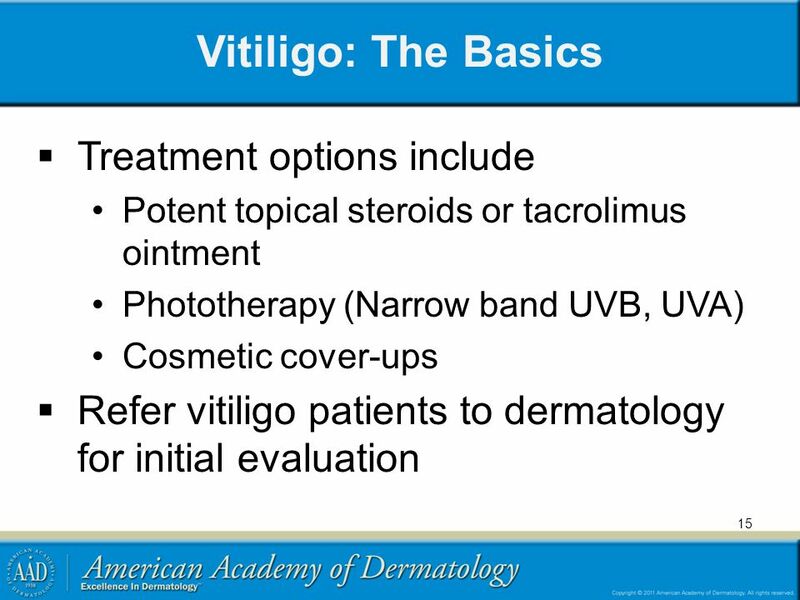 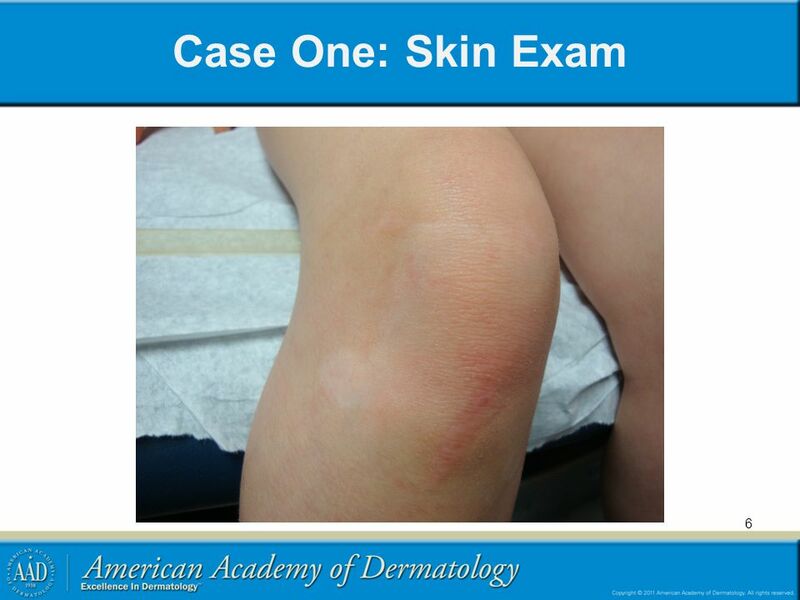 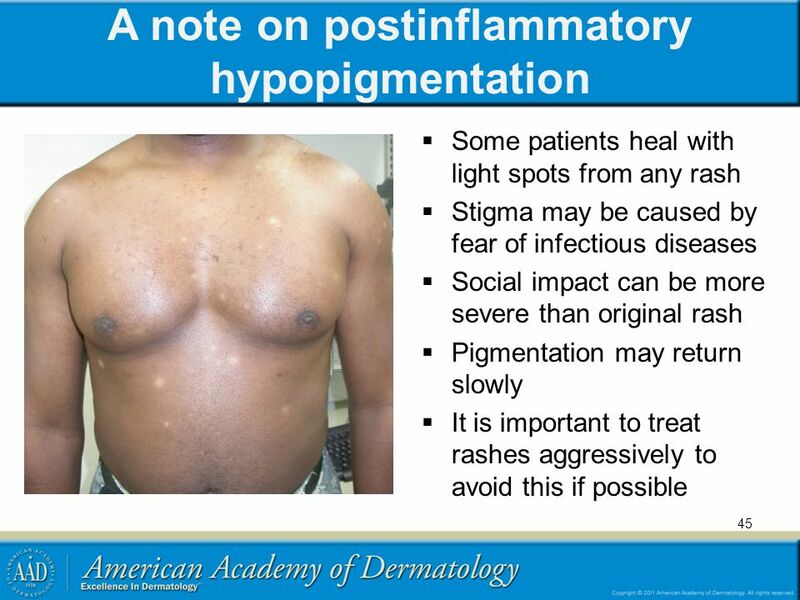 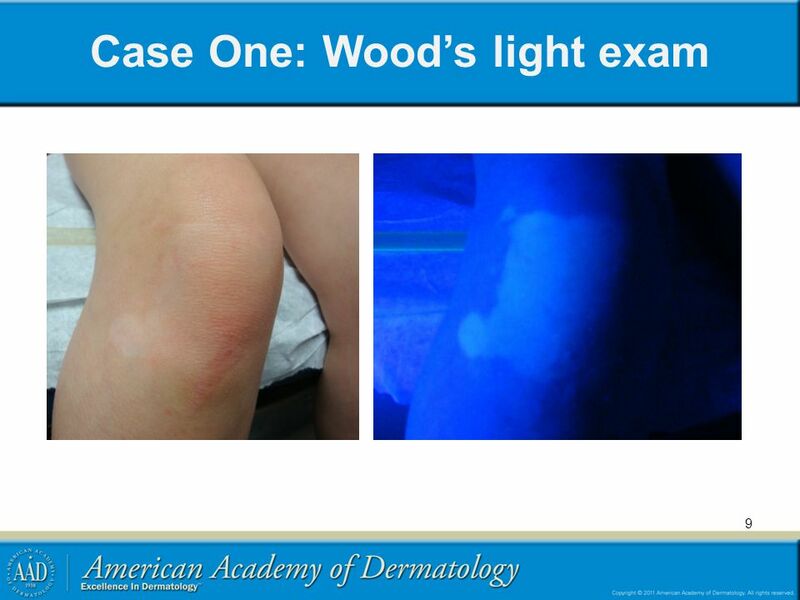 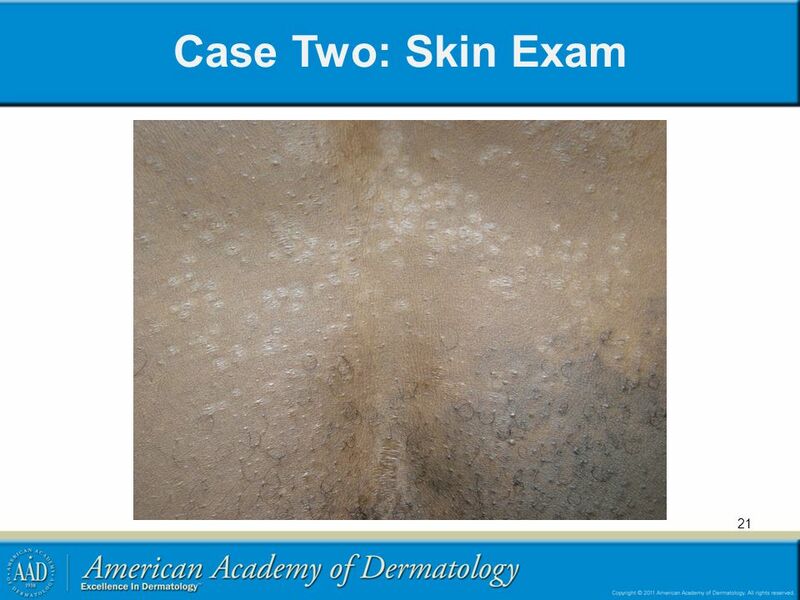 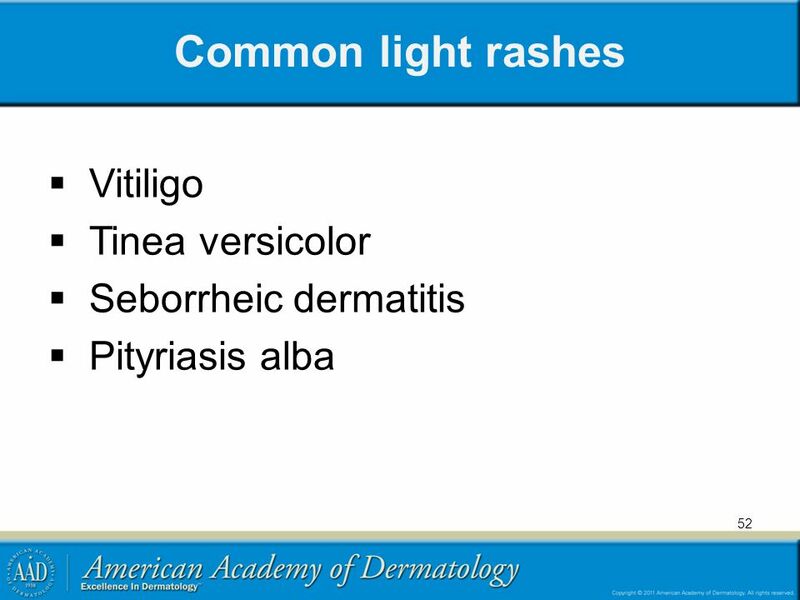 The Wood’s light exam distinguishes hypopigmented and depigmented lesions. 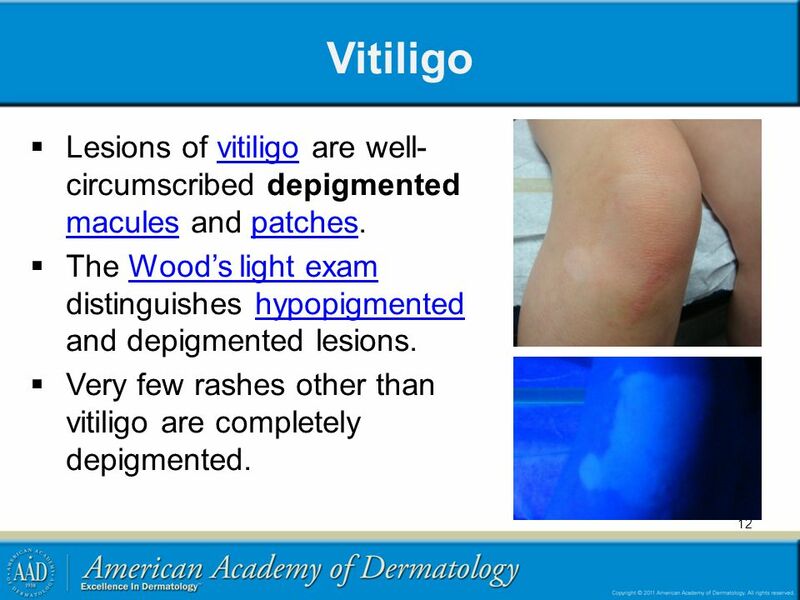 Very few rashes other than vitiligo are completely depigmented. 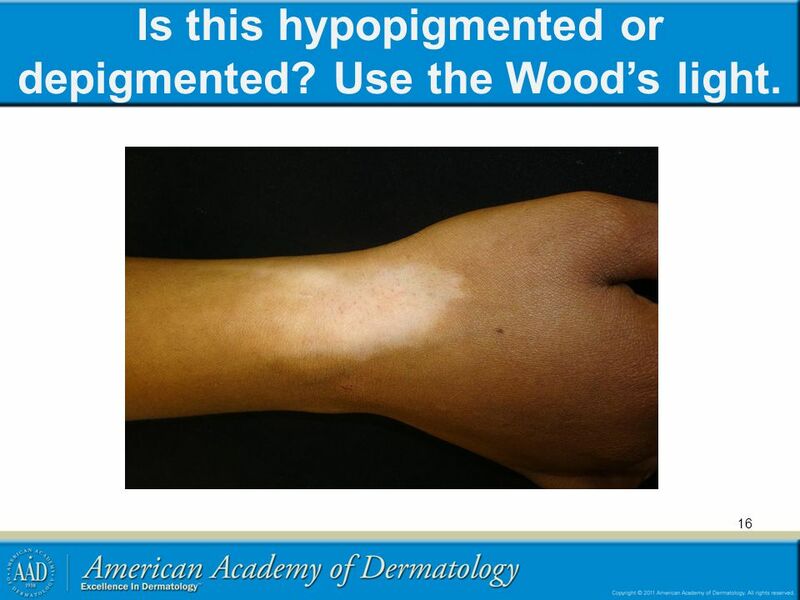 16 Is this hypopigmented or depigmented? 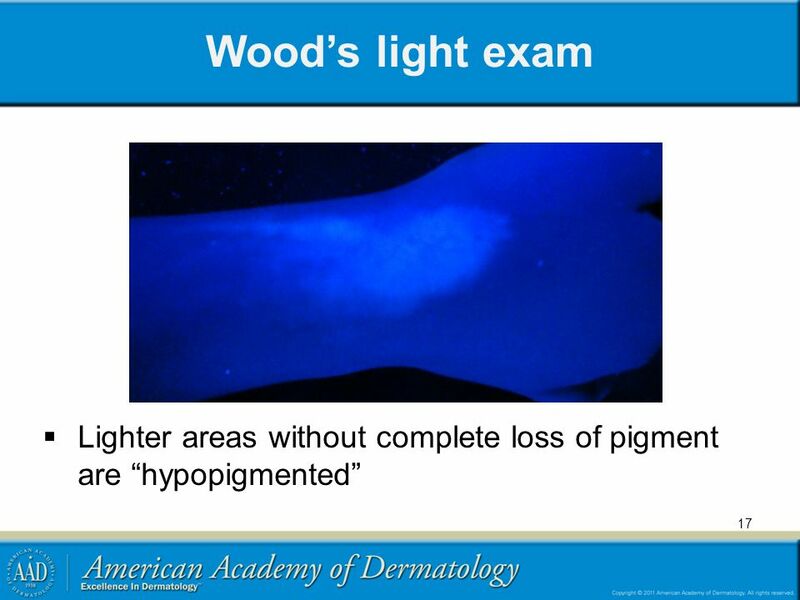 Use the Wood’s light. 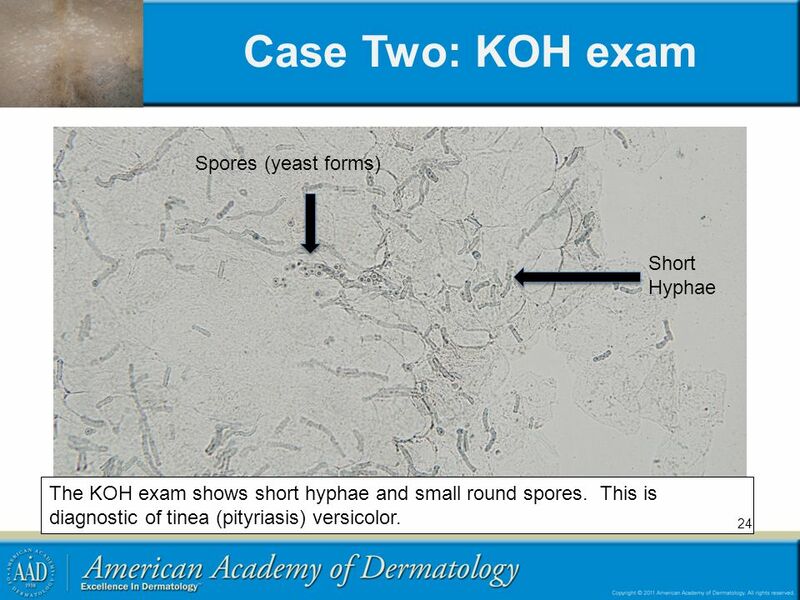 The KOH exam shows short hyphae and small round spores. 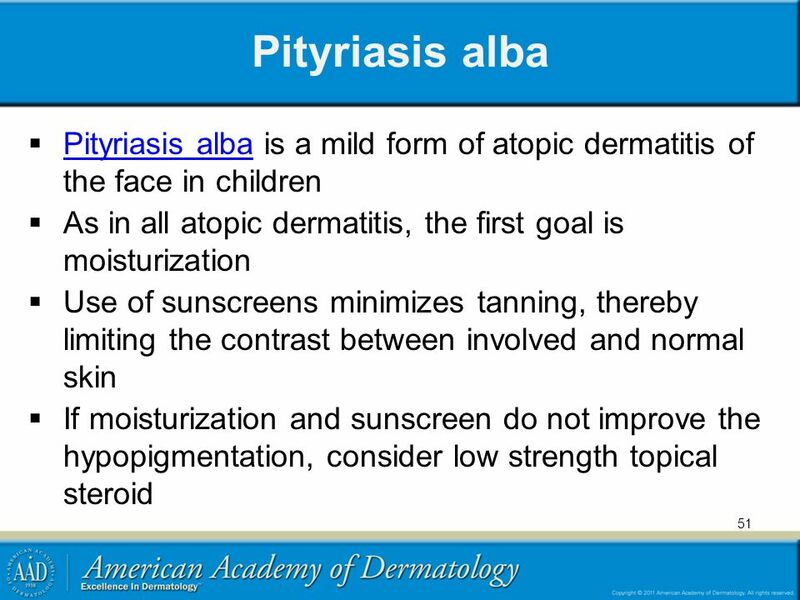 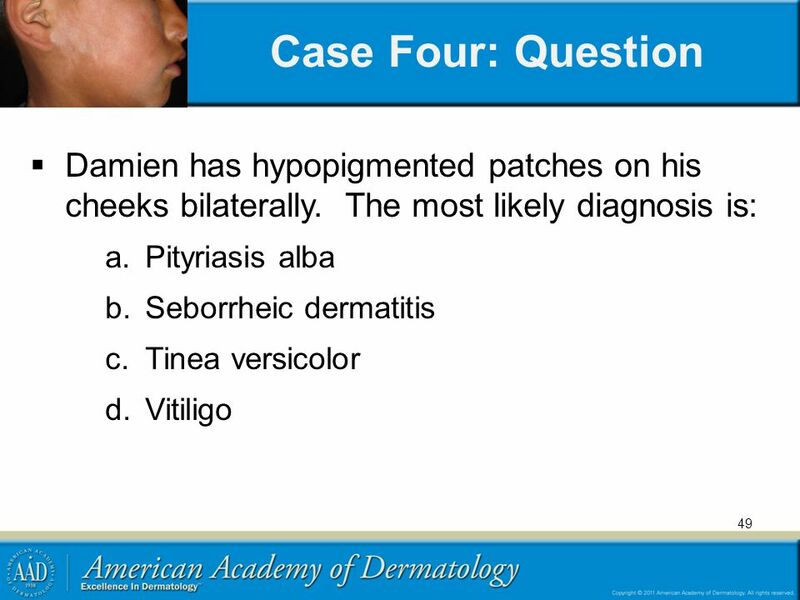 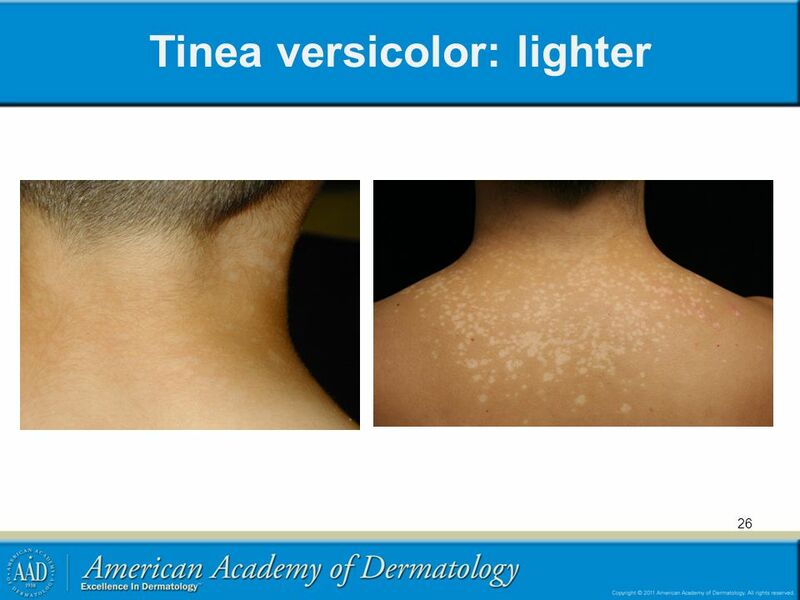 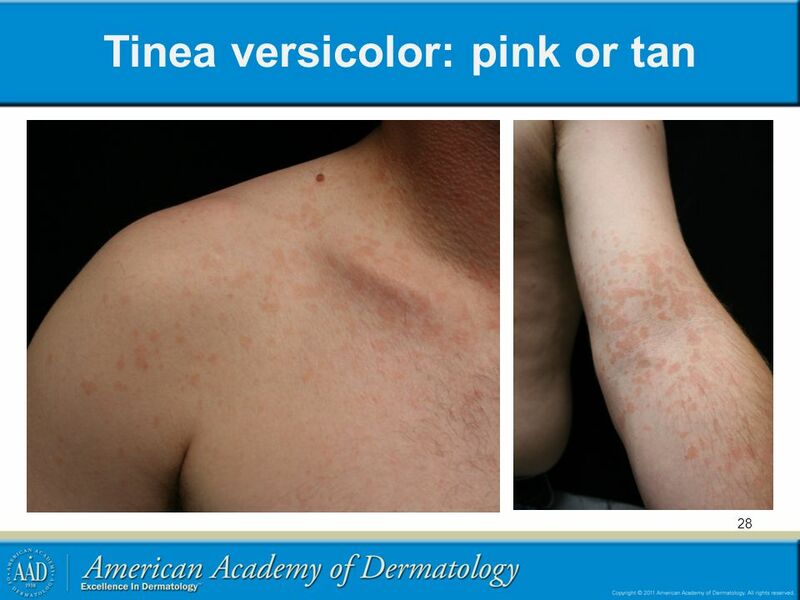 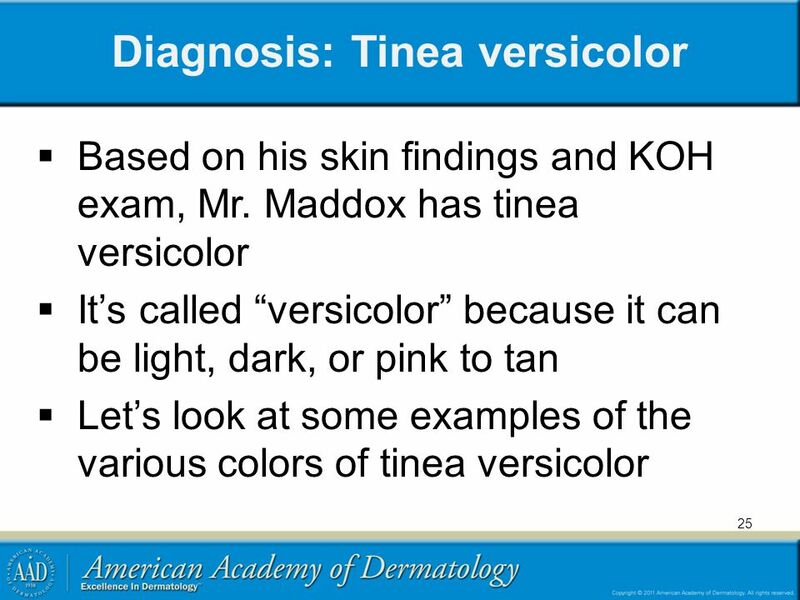 This is diagnostic of tinea (pityriasis) versicolor. 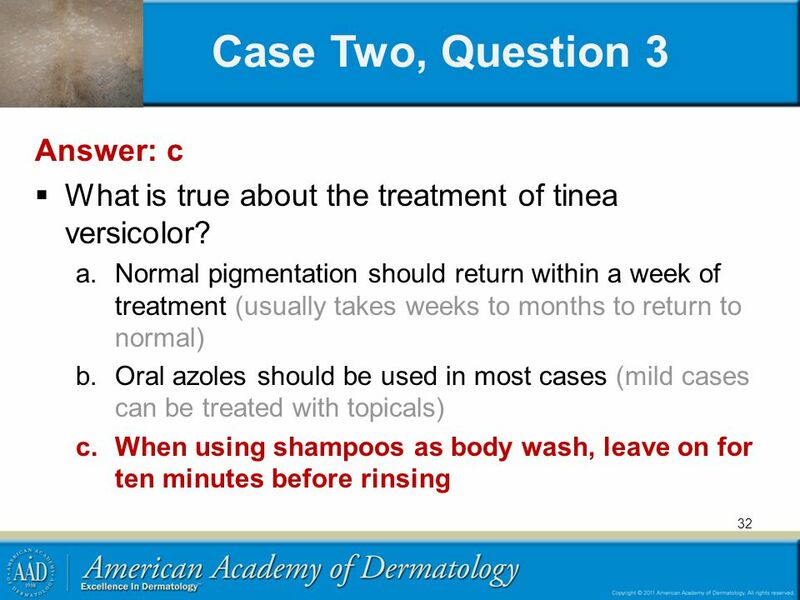 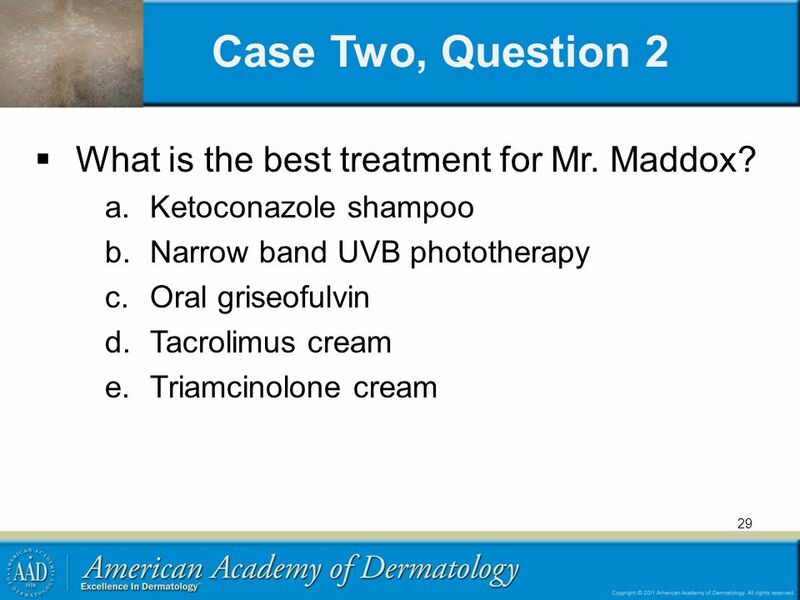 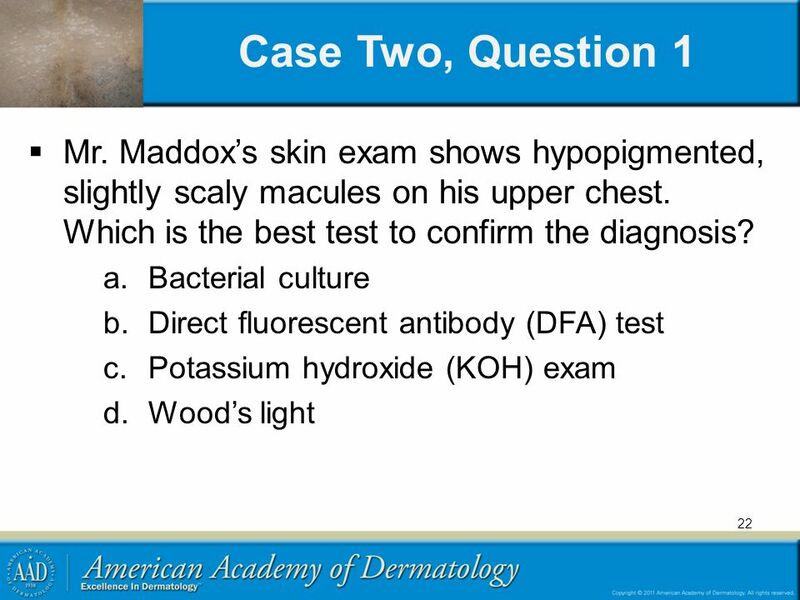 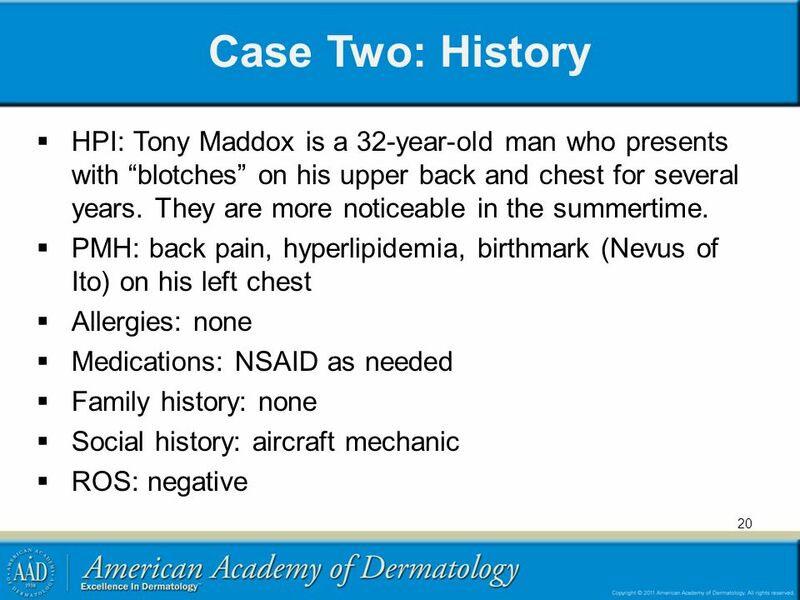 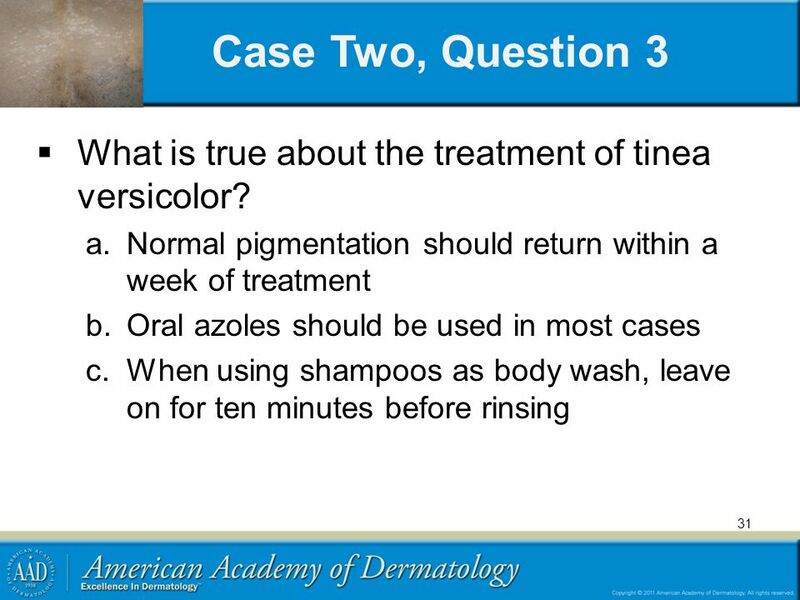 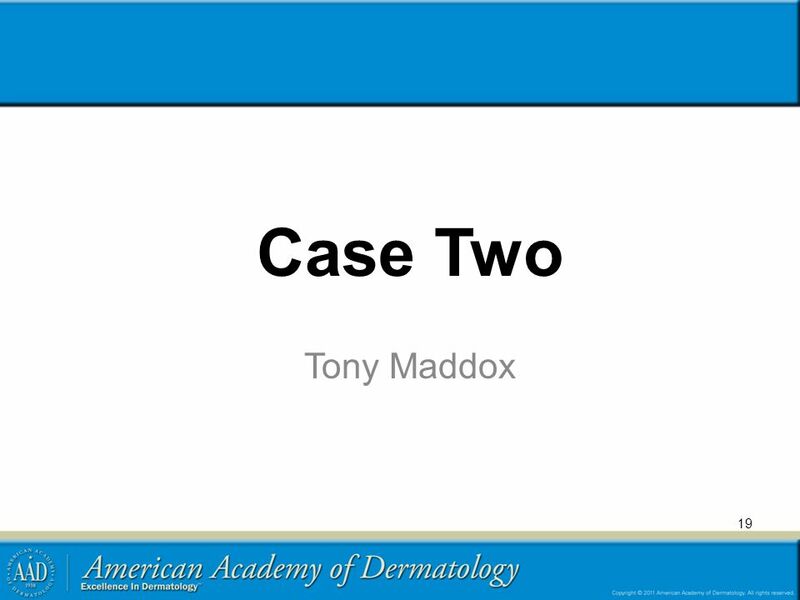 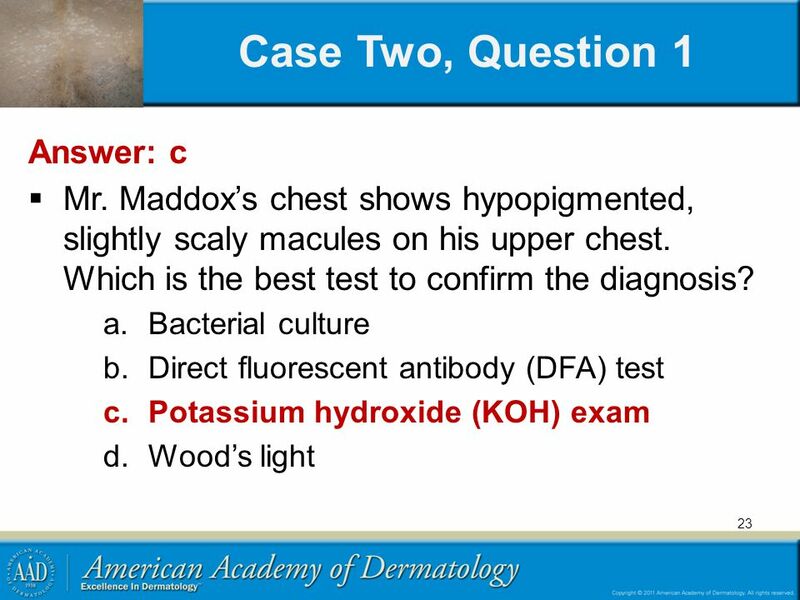 29 Case Two, Question 2 What is the best treatment for Mr. Maddox? 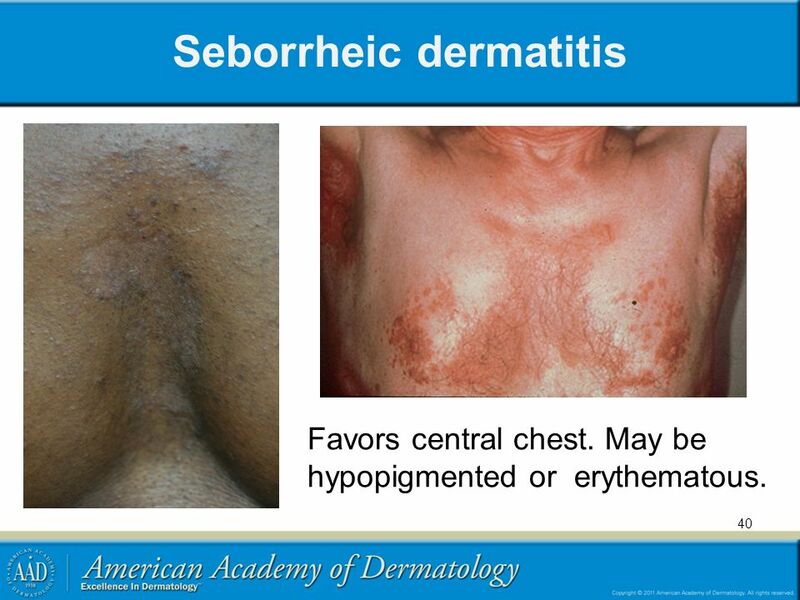 Favors central chest. 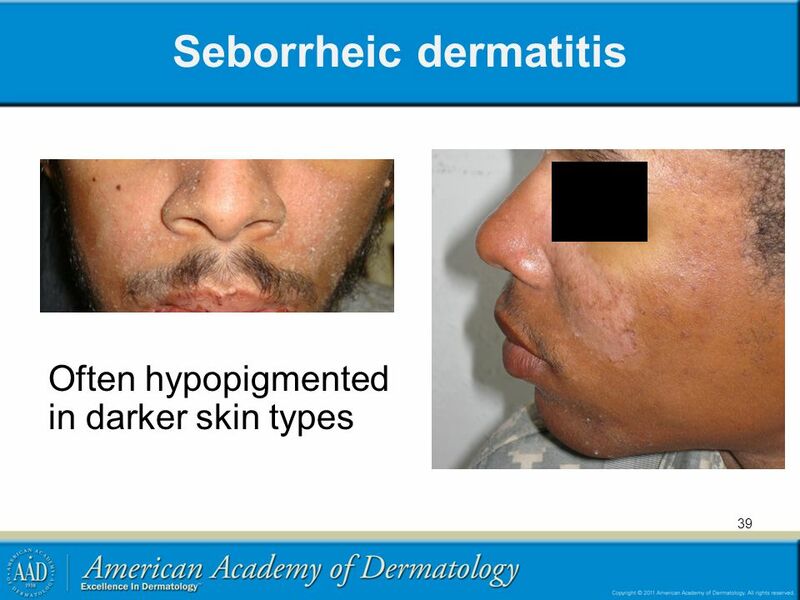 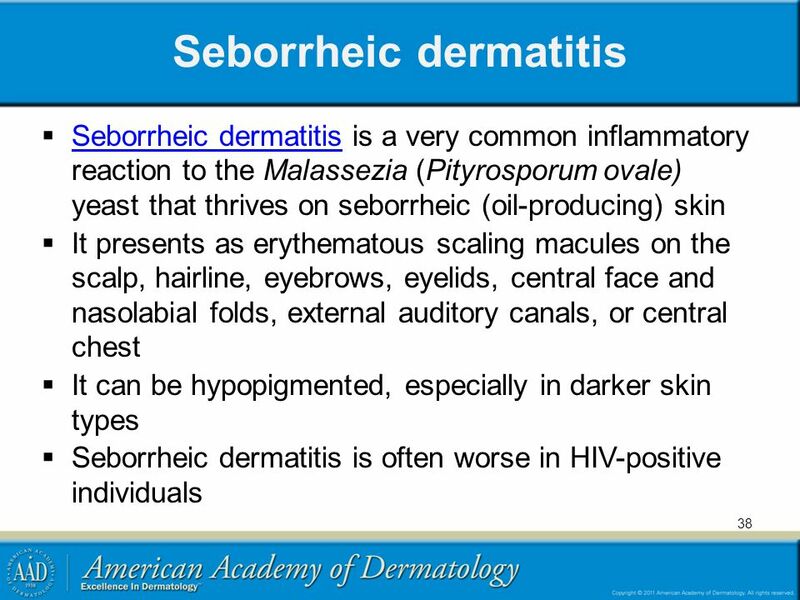 May be hypopigmented or erythematous. 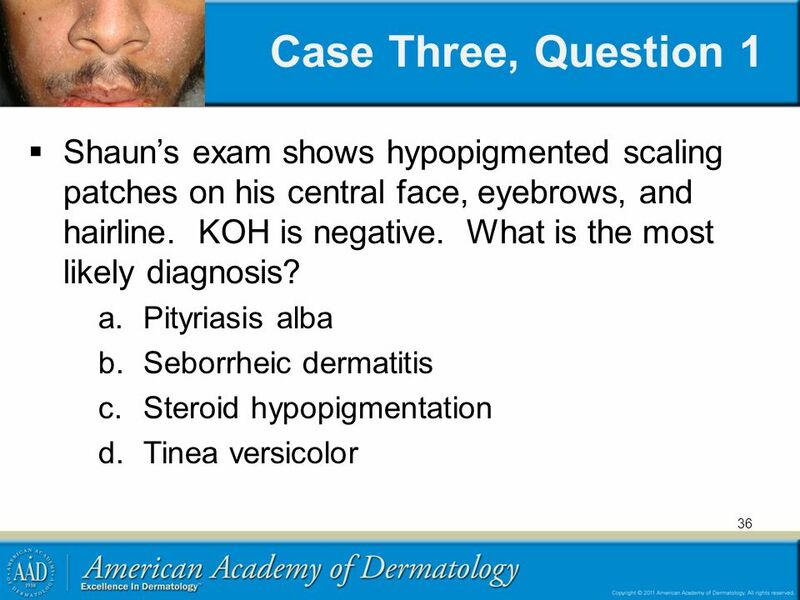 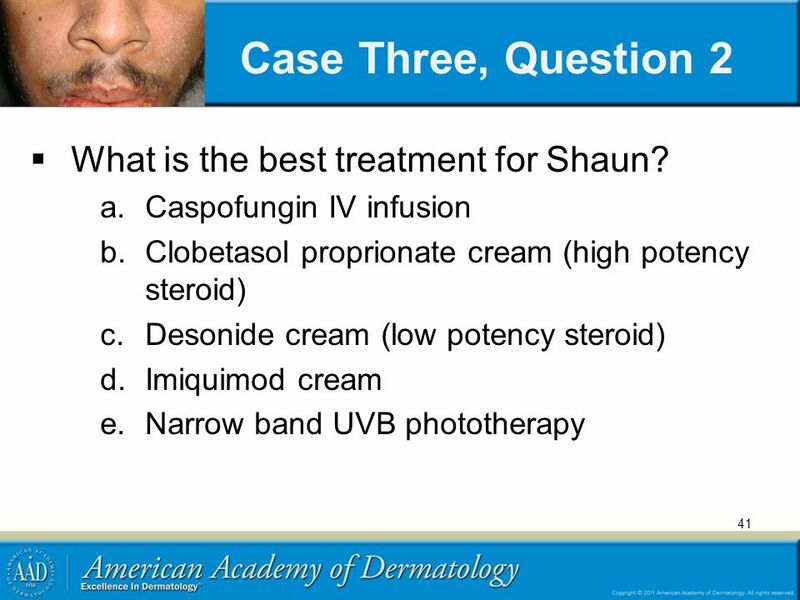 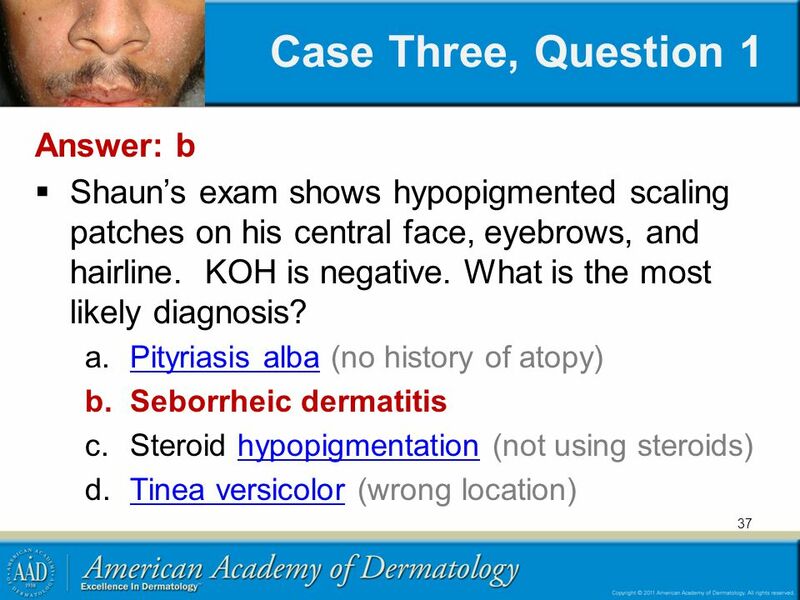 41 Case Three, Question 2 What is the best treatment for Shaun? 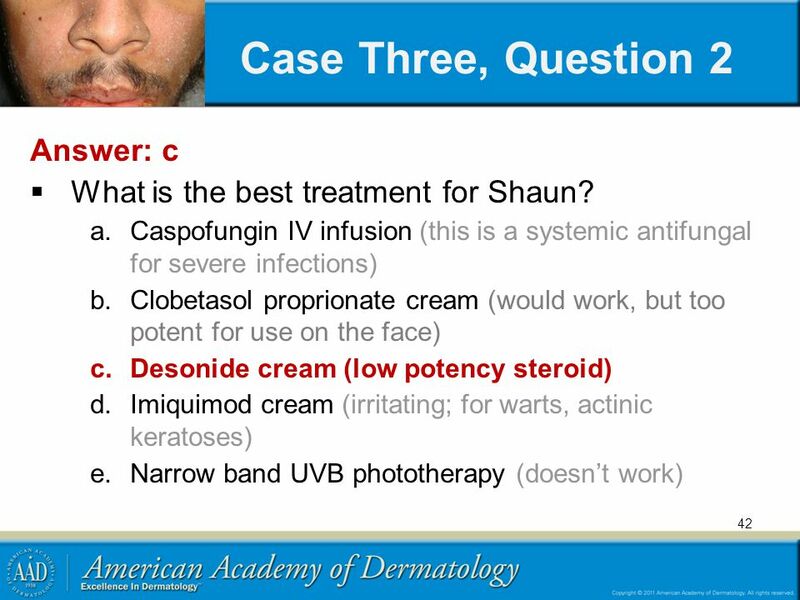 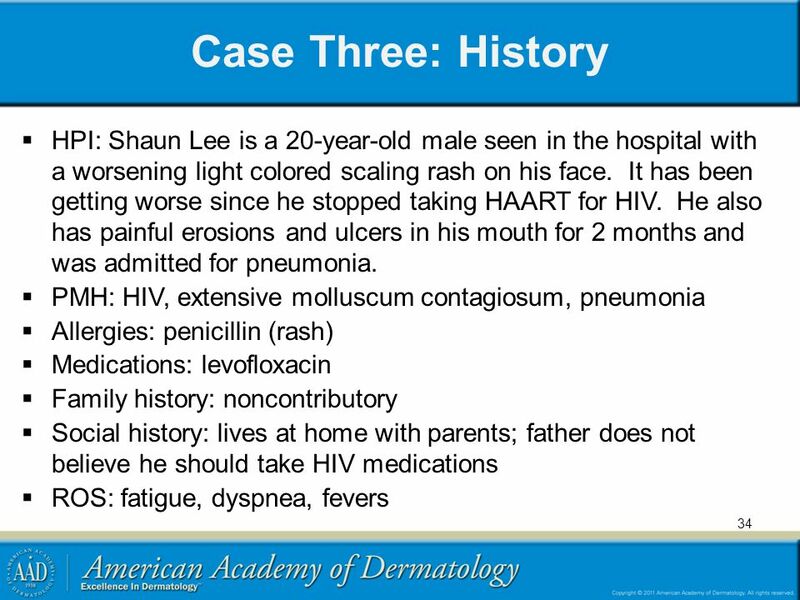 42 Case Three, Question 2 Answer: c What is the best treatment for Shaun? 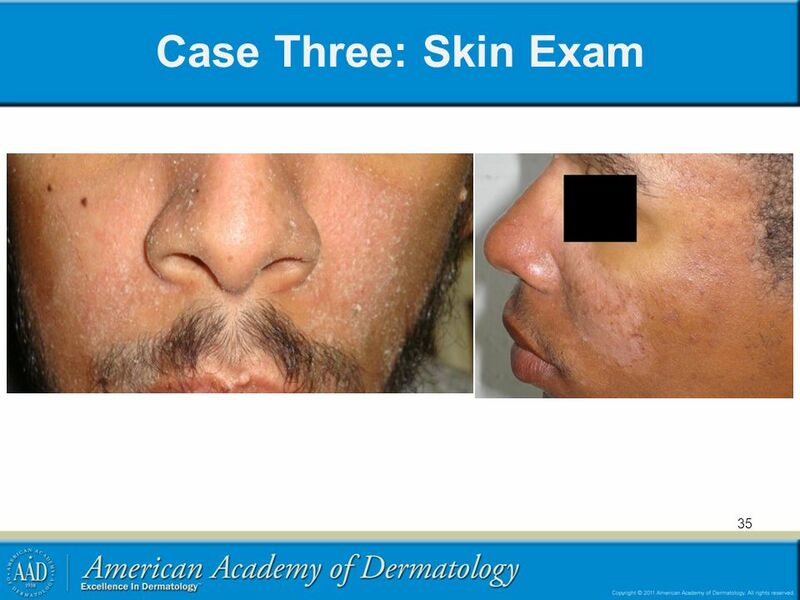 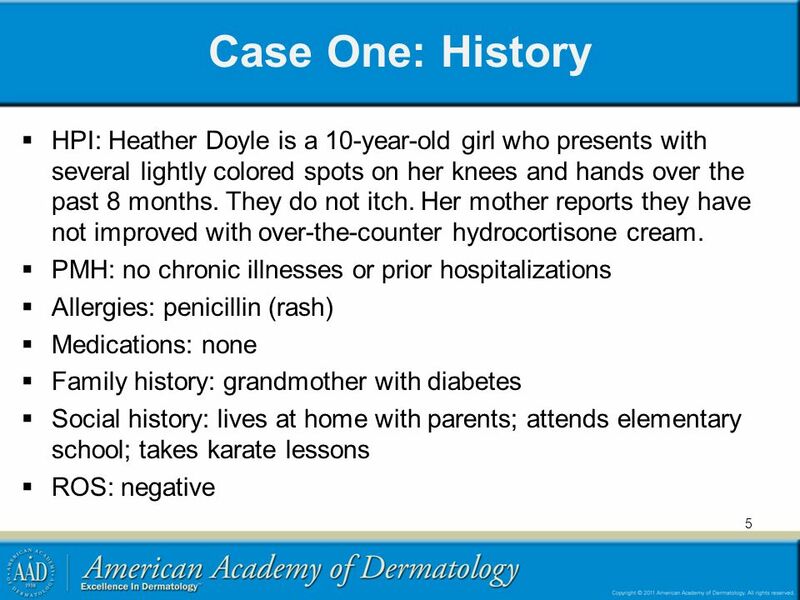 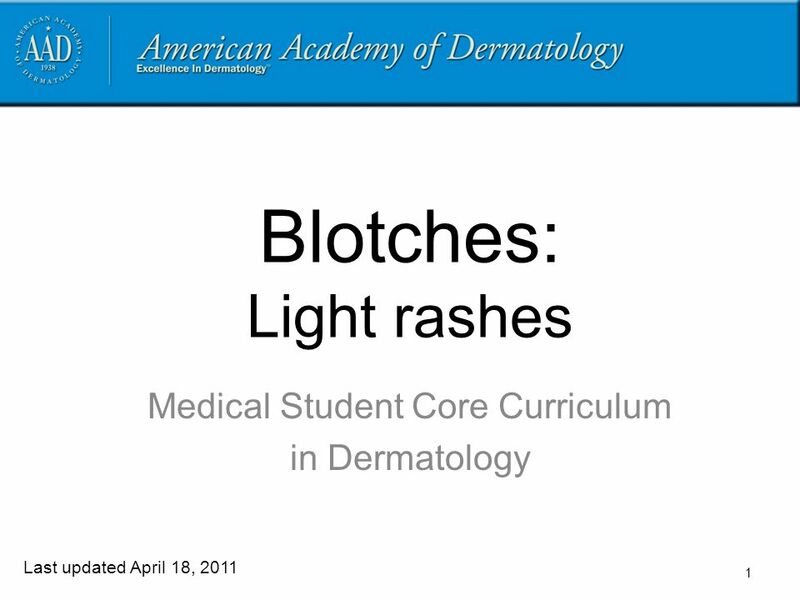 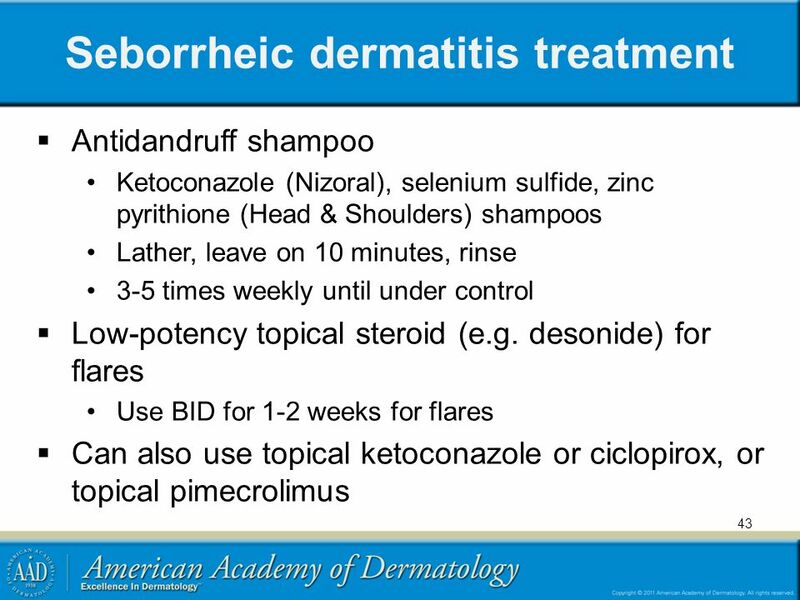 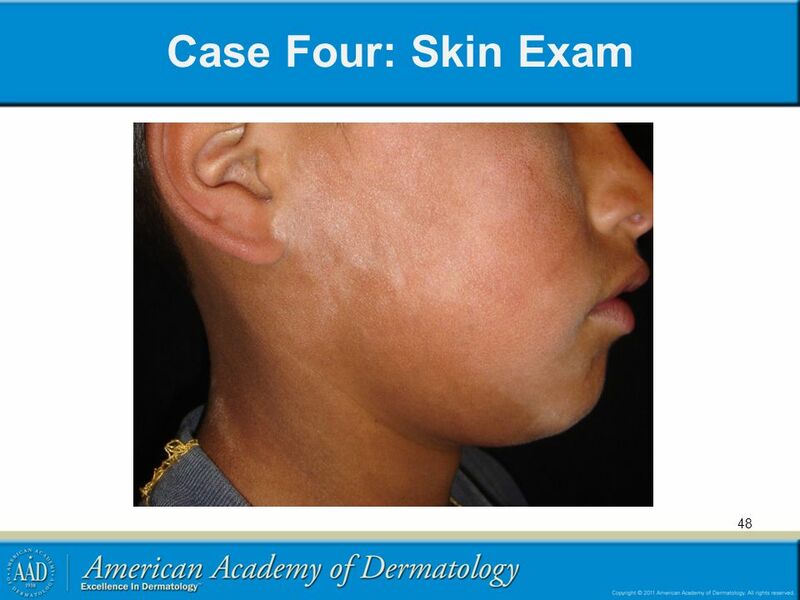 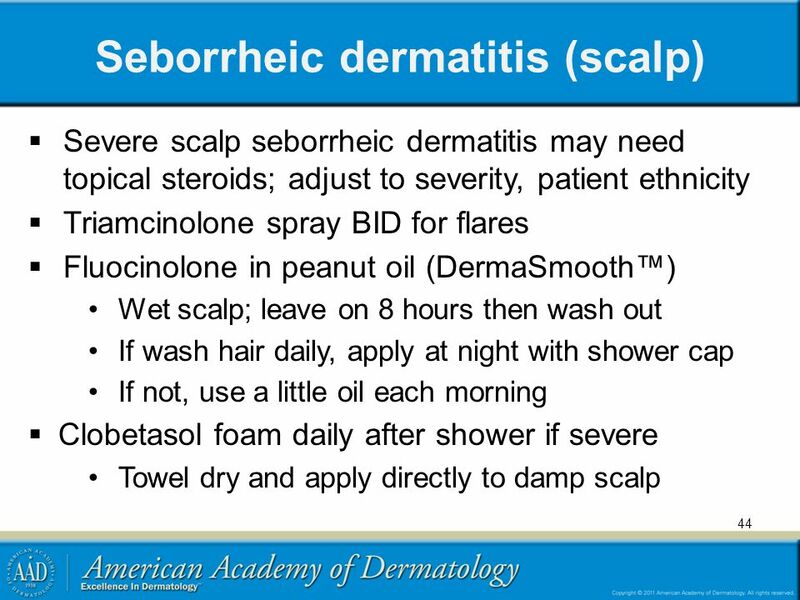 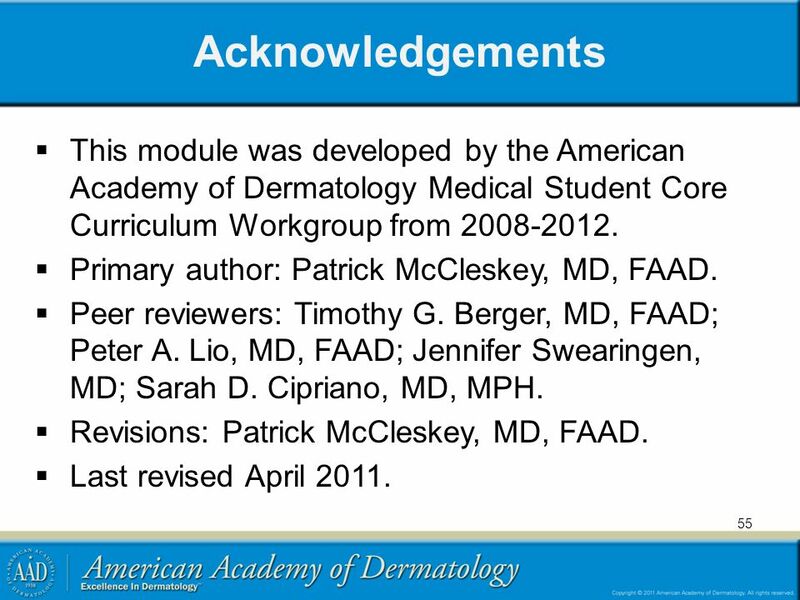 55 Acknowledgements This module was developed by the American Academy of Dermatology Medical Student Core Curriculum Workgroup from Primary author: Patrick McCleskey, MD, FAAD. 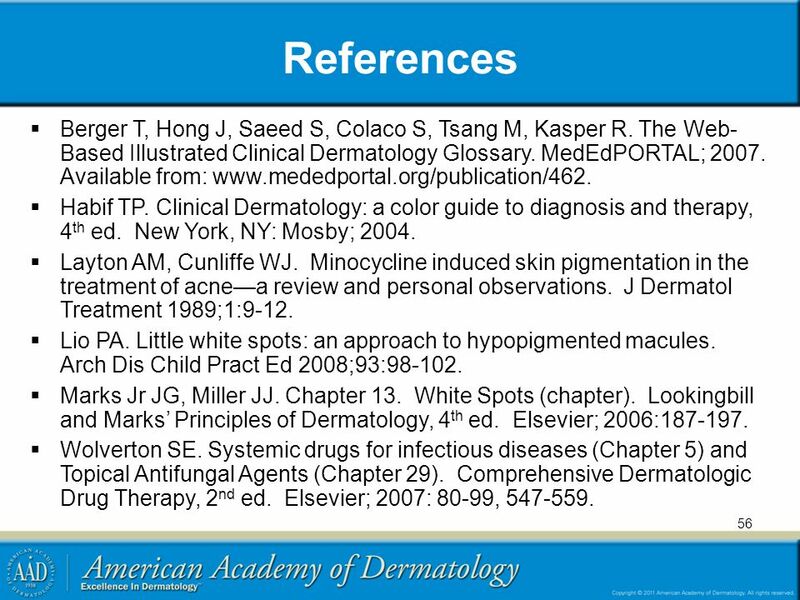 Peer reviewers: Timothy G. Berger, MD, FAAD; Peter A. Lio, MD, FAAD; Jennifer Swearingen, MD; Sarah D. Cipriano, MD, MPH. 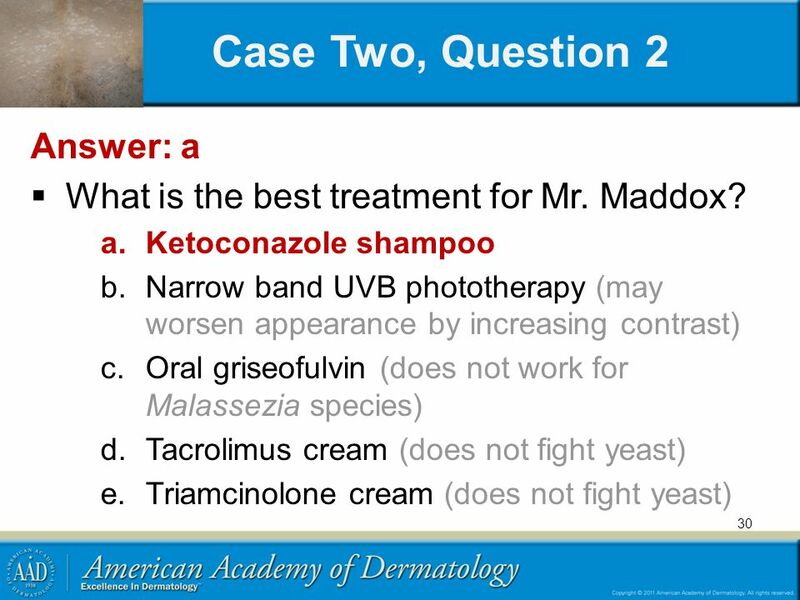 Revisions: Patrick McCleskey, MD, FAAD. 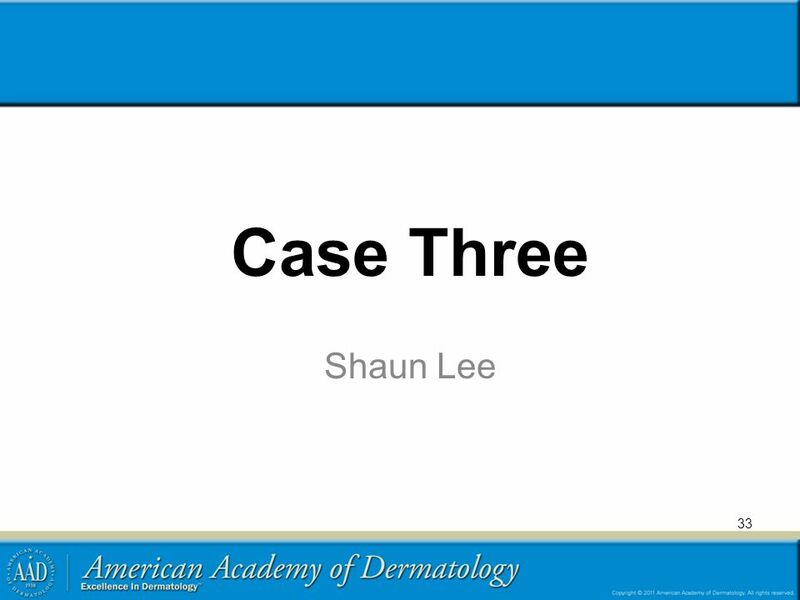 Last revised April 2011. 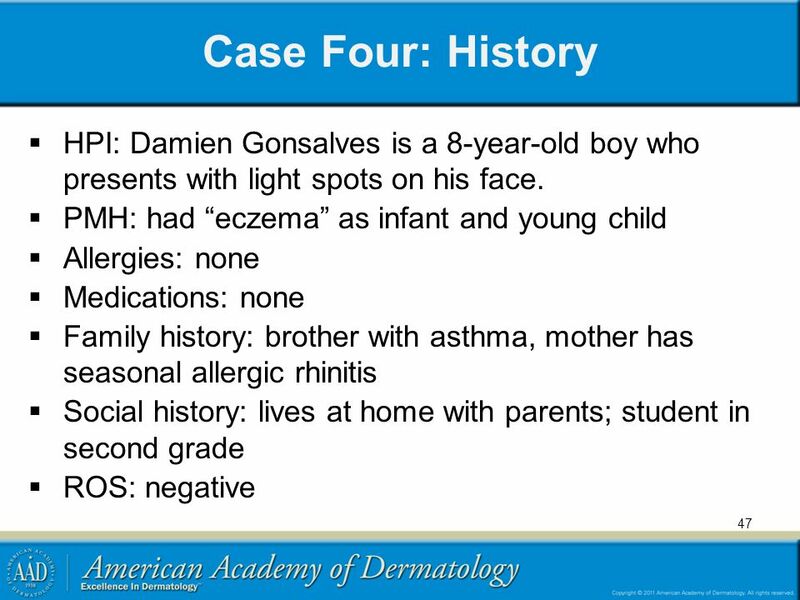 Download ppt "Blotches: Light rashes"
ECZEMA. 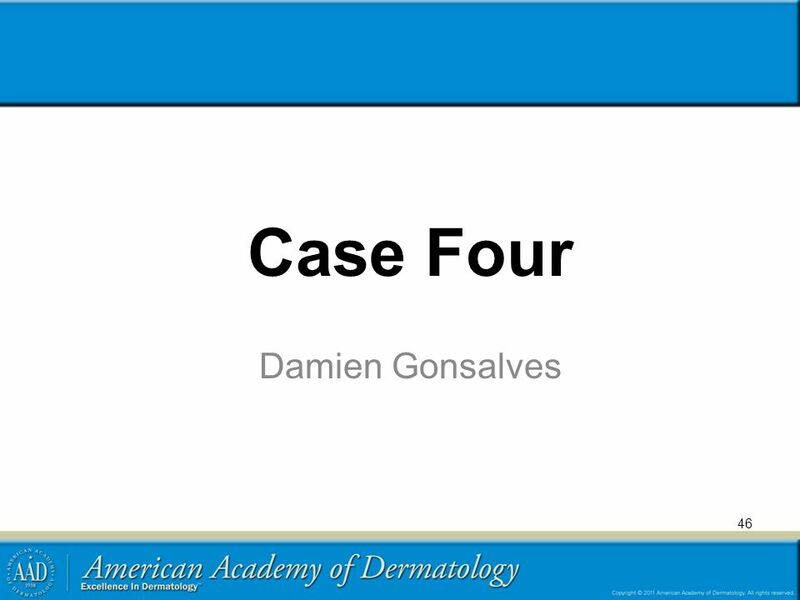 Introduction Case Scenarios Conclusions Introduction.